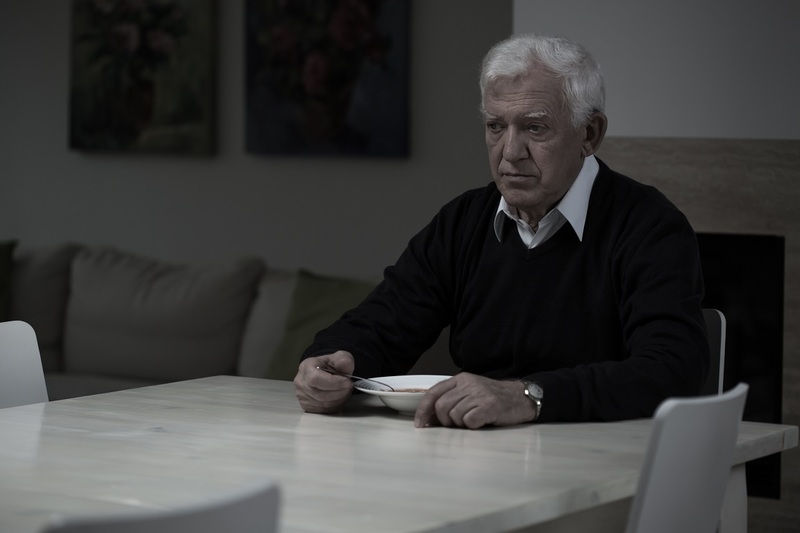 As we get older, loneliness and social isolation can become a real issue. Getting older often means stopping work and so not seeing colleagues and customers on a daily basis, as you have spent the last 40 or so years doing. It can mean a higher chance of disability or illness and thus getting weaker, limiting our ability to get out and about and see people. It can also sadly mean spouses, friends and family members passing away, leaving less and less people to talk to as the years go by. More than 3.6 million people in the UK live alone, and more than 2 million of those are over the age of 75. And this is a truly shocking statistic, but according to Age UK more than a million elderly people in the UK don’t speak to anyone such as a friend, neighbour or family member for more than a month. Can you imagine not speaking to anyone for over a month? How lonely would you feel if you didn’t speak to anyone for that period of time? In many cases loneliness not only leads to depression, but to an ongoing and serious decline in physical health as well. In fact, is has been said that loneliness is as harmful to our health as smoking 15 cigarettes a day. It is no wonder then that for many elderly people, loneliness and isolation is there biggest concern. They have family, but they don’t want to bother them, particularly their children, as they don’t want to feel like they’re a burden to them. They are perhaps also too proud to ask for help. So instead they sit at home, alone, with the TV as their only companion, wondering how they are going to make it to the weekend without seeing anyone. We’ve seen first hand the impact that loneliness can have on a person in our professional work. There is a massive difference between elderly people who are obviously loved and who aren’t alone, and those are lonely. You might have seen this too with elderly people you know, perhaps with people in your own family such as parents or grandparents. It’s a very sobering thought, but there are a lot of elderly people out there who are worried that they might have an accident or even pass away and nobody would notice, nobody would miss them, nobody would know they were there for days or even weeks. If you’re lonely, you can have very little motivation to do anything. Take cooking and eating for example; if you are cooking for someone else as well as yourself and eating with them, you have more motivation to cook something interesting and a bit more exciting and creative. If it is just you, you may feel that there is no point making an effort, and instead just choose to warm up a ready meal in the microwave. Also, take every day things like keeping the house tidy and your personal appearance. If you don’t see another living soul from one week to the next, the motivation to keep your house, bungalow or flat clean and tidy disappears. The washing up can pile up, the hoovering and dusting doesn’t get done, the laundry gets left untouched. You might not bother brushing, combing or washing your hair, or showering, bathing or washing, as you feel there is little point. You might not even bother to get dressed properly, just sitting around in pyjamas or a nightie, or scruffy clothes rather than making yourself look presentable. The thought can be, why bother to look presentable if there is nobody to look presentable for. Also, when you have to do everything by yourself, you can sometimes feel overwhelmed, and feel that there is so much to do that you don’t know where to start, so you don’t bother doing anything at all. Motivation might not be the only problem – ability can play a huge part. For example, if an elderly person has arthritis or other aches and pains then they might not find it easy to prepare a fresh meal, carry out simple household chores, do a spot of gardening, or easily get to the shops. Crucially, they also might not have the confidence to do these things on their own. So loneliness can be a big problem for elderly people.